I'm an Off the Shelf blogger, a program from Beacon Hill Press the leading provider of Christian books. While I received this book in exchange for a review, all opinions are my own. 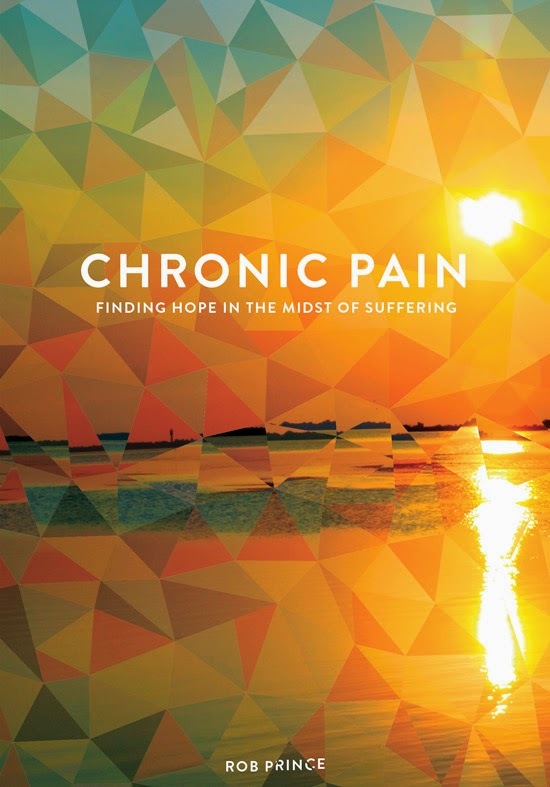 The latest book I have been reading is Chronic Pain: Finding Hope in the Midst of Suffering by Rob Prince. Pastor Rob has chronic migraines and suffered a subarachnoid hemorrhage, something that should've killed him yet he survived. He gives a personalized account of what it's like to live with chronic pain and uses scripture to remind us that God, in fact, does heal and allow us to live with pain, even if it's not necessarily in the way we would've thought. As someone who has now become a sufferer of chronic pain for over a year now, first in my back and now my foot, I love that he tells you what it's really like to live with pain everyday and doesn't leave out any details. It's nice to know that even a minister, someone who you'd think would be "on" all the time, has days where they just don't want to deal with life. Also, as someone who believes in using food to "heal thyself" in addition to natural treatments, I love that he addresses alternatives, spiritual and otherwise, instead of just popping pills. If you suffer from chronic pain in any way, I highly recommend this book as you will enjoy it. I recommend it even if you don't!